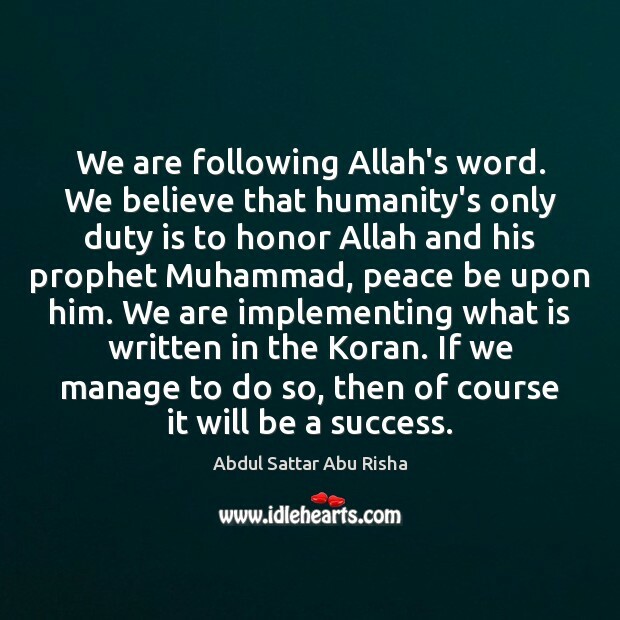 Enjoy the best inspirational, motivational, positive, funny and famous quotes by Abdul Sattar Abu Risha. Use words and picture quotations to push forward and inspire you keep going in life! We are following Allah's word. We believe that humanity's only duty is to honor Allah and his prophet Muhammad, peace be upon him. 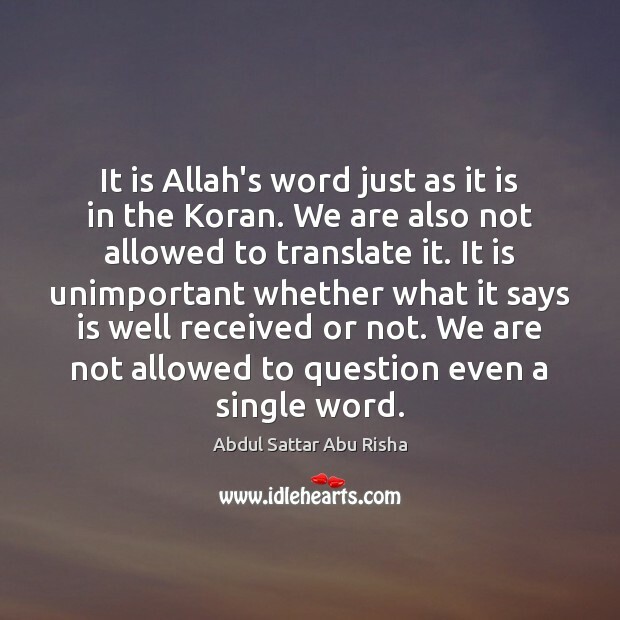 We are implementing what is written in the Koran. If we manage to do so, then of course it will be a success. 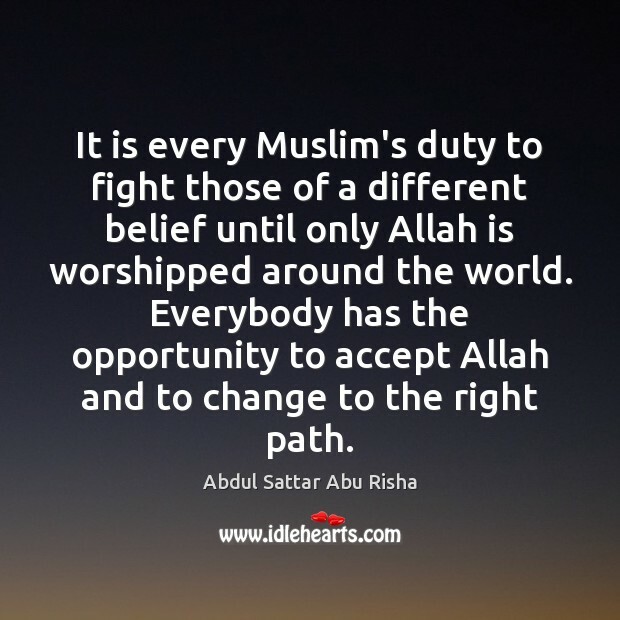 It is every Muslim's duty to fight those of a different belief until only Allah is worshipped around the world. Everybody has the opportunity to accept Allah and to change to the right path. 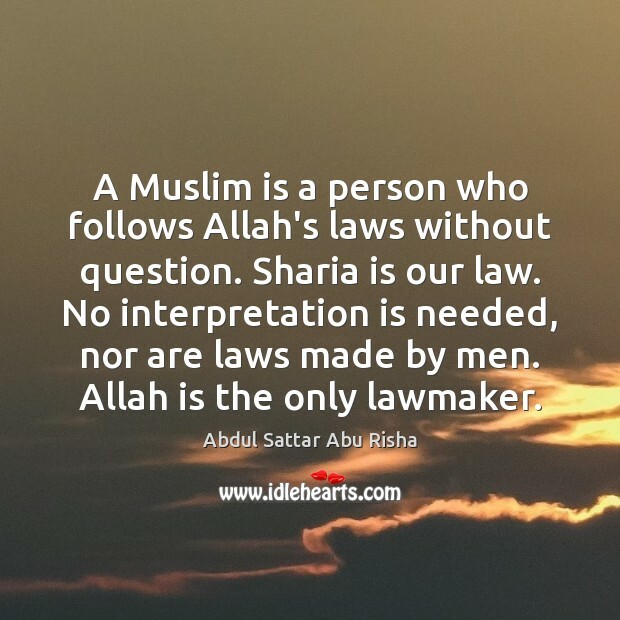 A Muslim is a person who follows Allah's laws without question. Sharia is our law. No interpretation is needed, nor are laws made by men. Allah is the only lawmaker. 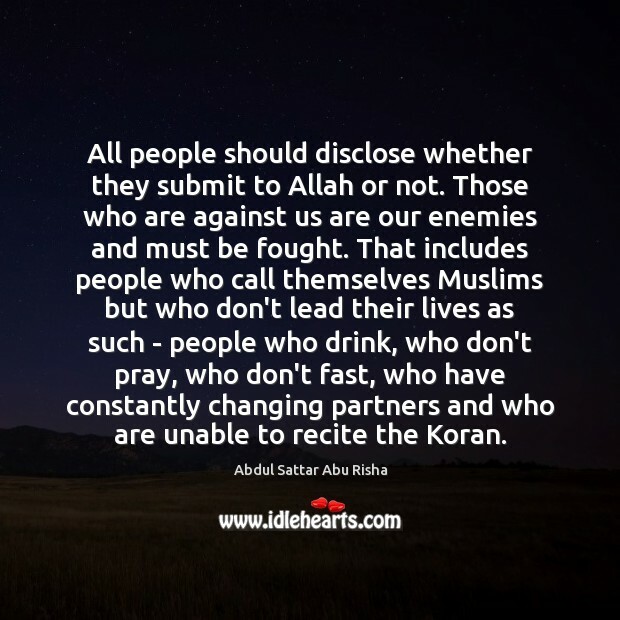 All people should disclose whether they submit to Allah or not. Those who are against us are our enemies and must be fought. That includes people who call themselves Muslims but who don't lead their lives as such - people who drink, who don't pray, who don't fast, who have constantly changing partners and who are unable to recite the Koran. 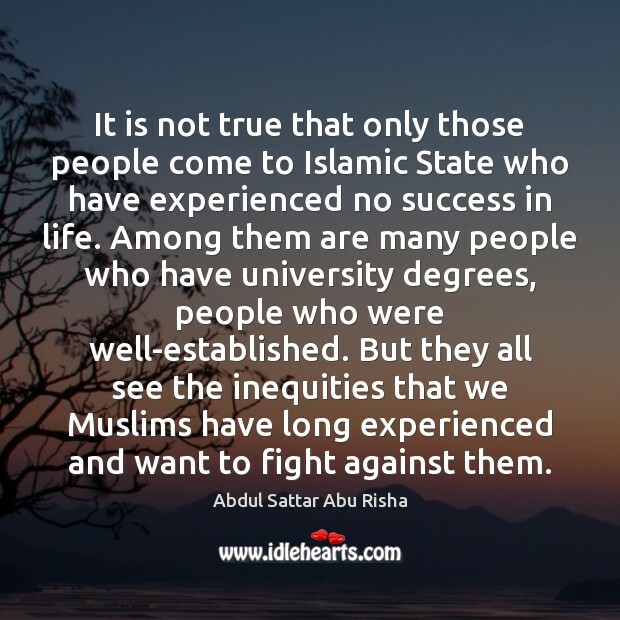 It is not true that only those people come to Islamic State who have experienced no success in life. Among them are many people who have university degrees, people who were well-established. But they all see the inequities that we Muslims have long experienced and want to fight against them. 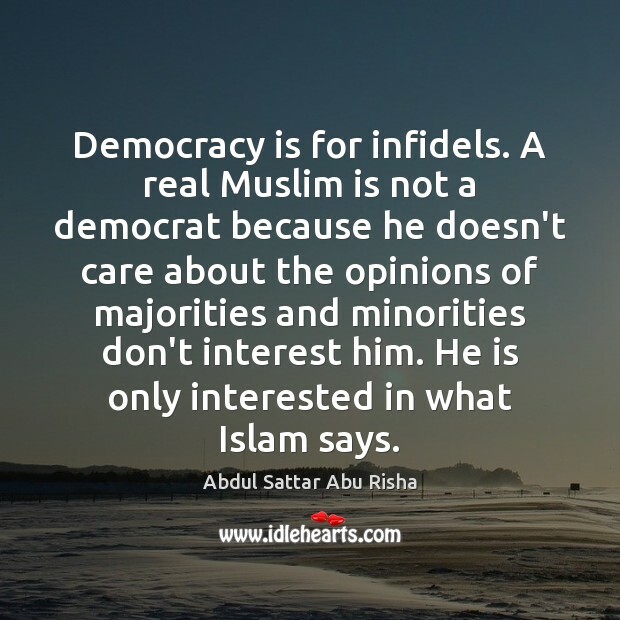 Democracy is for infidels. A real Muslim is not a democrat because he doesn't care about the opinions of majorities and minorities don't interest him. He is only interested in what Islam says. Christians and Jews go after those who have access to raw materials but who prevent access to them. Oil is the best example. The US and its allies are constantly intervening in countries where they don't belong only to defend their prosperity. 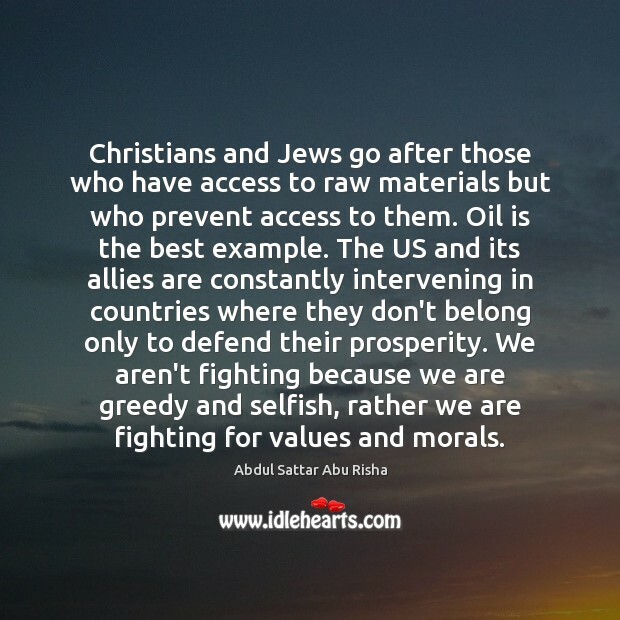 We aren't fighting because we are greedy and selfish, rather we are fighting for values and morals. 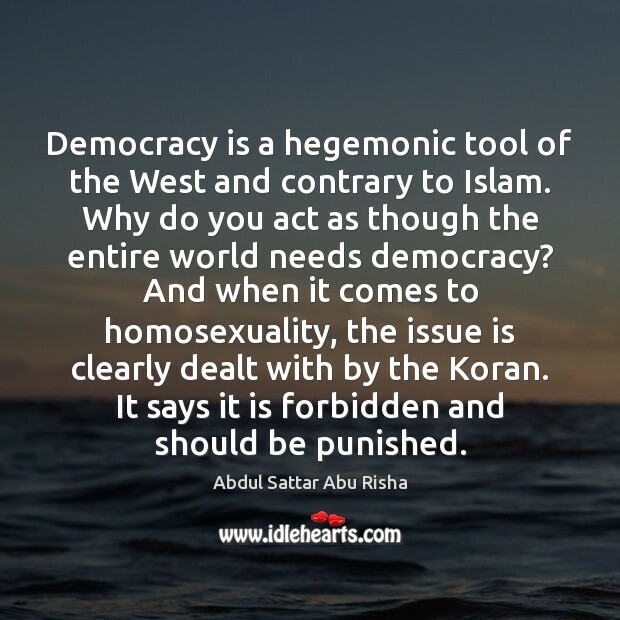 Democracy is a hegemonic tool of the West and contrary to Islam. Why do you act as though the entire world needs democracy? And when it comes to homosexuality, the issue is clearly dealt with by the Koran. It says it is forbidden and should be punished. 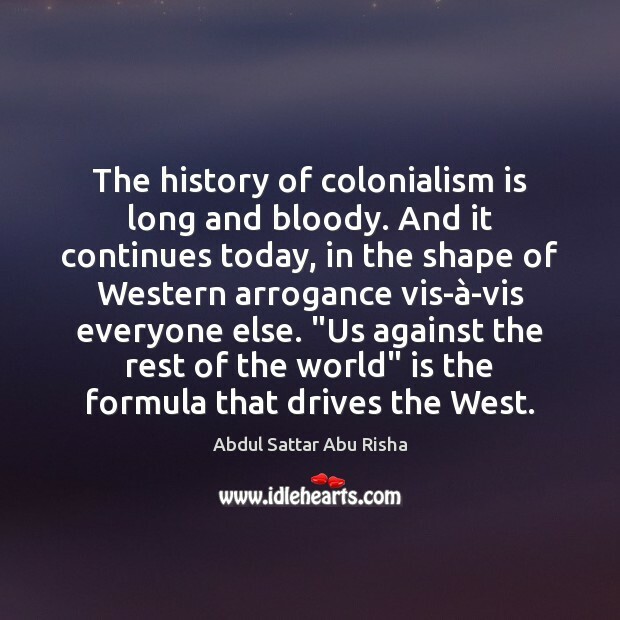 The history of colonialism is long and bloody. And it continues today, in the shape of Western arrogance vis-à-vis everyone else. "Us against the rest of the world" is the formula that drives the West.